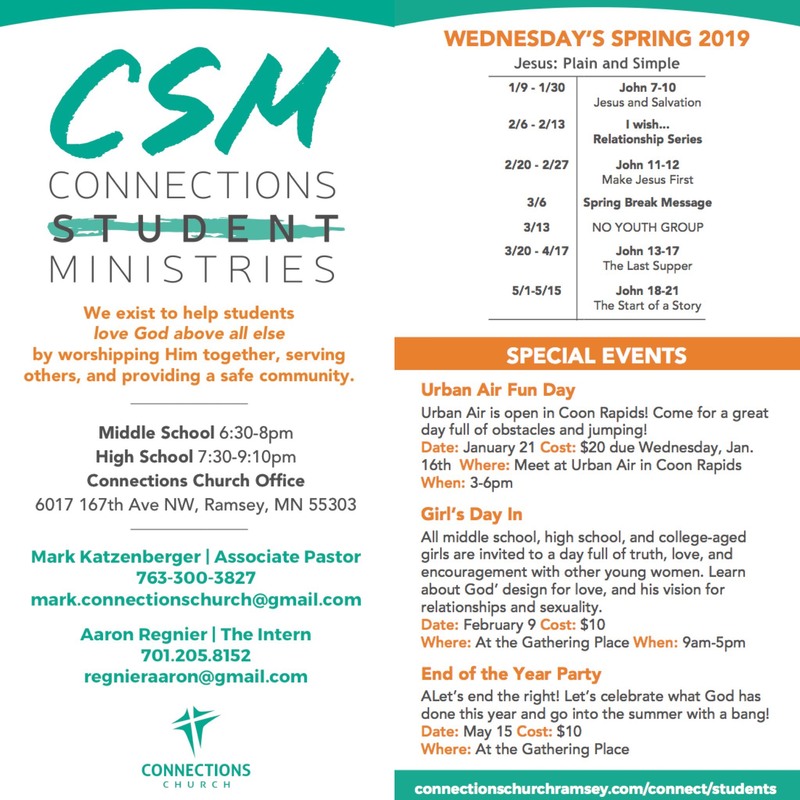 Connections Student Ministries is all about Building Relationships as we Build God’s Kingdom! We do this through our weekly gatherings on Wednesday nights, weekend retreats, mission trips and periodic fun activities away from home just for fun. CSM meets at The Gathering Place in Ramsey (6017 167th Ave NW). This building is an awesome place for students to hang out as early as 5pm on Wednesdays! Every Wednesday night Middle School students gather from 6:30-8pm and High School students from 7:30-9:10pm. Every night includes awesome group games, food, small groups with adult leaders, worship led by talented college students and a relevant message.